South Sea pearls are the largest pearls available on the jewelry market with sizes up to a whopping 20mm. The average size of these pearls is 12-13mm, which is included in the extra-large standard category. South Sea pearls are larger than Freshwater, Japanese Akoya, and even Tahitian pearls. They are the largest pearls available on the jewelry market, which makes them fabulous luxury items. White South Sea pearl earrings are an exclusive item of jewelry that looks and feels luxurious. Suitable for special occasions, this type of pearl earrings will flatter elegant outfits, making the wearer look sophisticated and distinguished. These guidelines will help you choose your perfect pair. 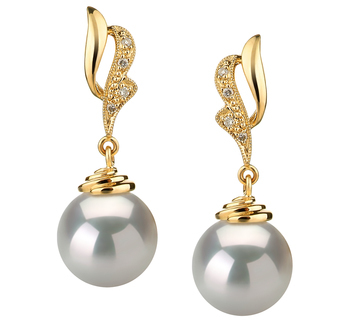 A pair of glamorous white pearl earrings are the perfect choice to mark a special occasion. The jewelry goes well with minimalistic gowns for a night out. 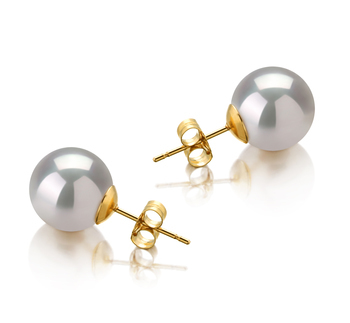 The classy woman who is always on the go will appreciate a pair of stud South Sea pearl earrings. 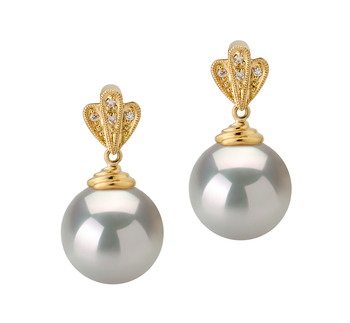 Sophisticated ladies with an eye for detail will fall in love with a pair of South Sea pearl drop earrings.